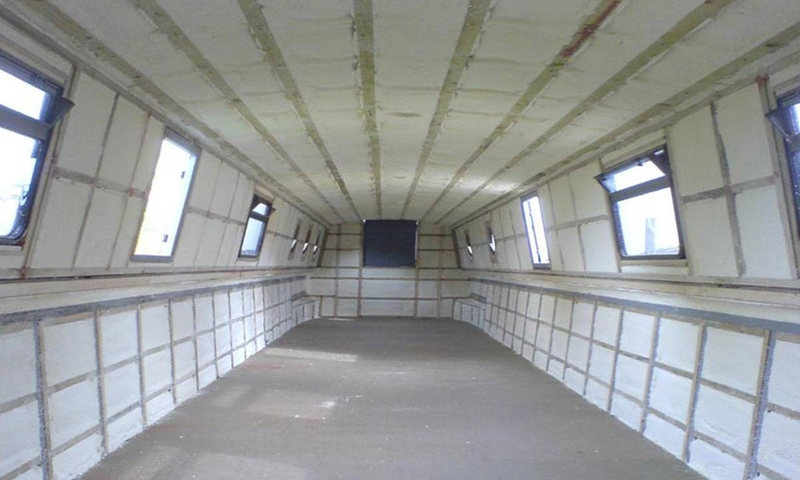 Sprayfoam is the perfect solution for boat / barge insulation refurbishment. 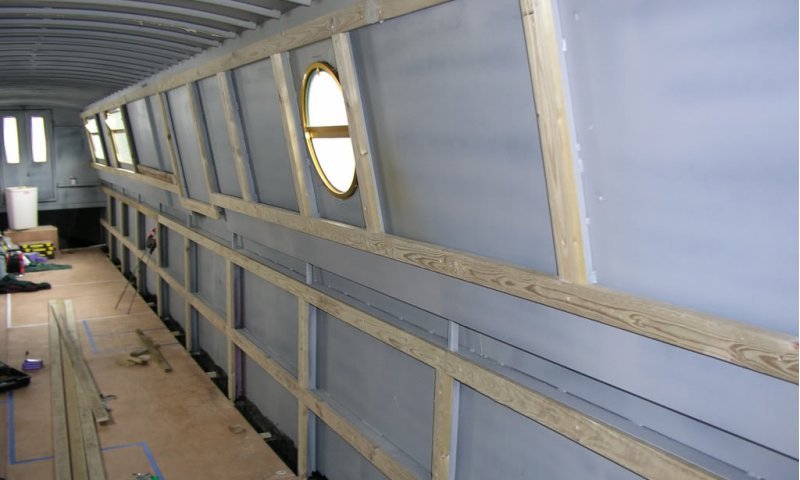 Because space is of the essence when refurbishing boats or barges, an insulation system which requires the minimum thickness application to achieve low U-values is the key requirement. PurAcell Sprayfoam is the anwser - With thermal conductivity, our PurAcell Closed cell PCC 2000 foam is ideal for the application, and unlike fiber it will nor rot, sag, or deteriorate over the years, particularly when exposed to extreme weather conditions which will vary from season to season. The PurAcell sprayfoam adds rigidity to the whole structure and, because it is applied in sprayfoam form, provides a custom air-tight seal every time. Nothing can compare to sprayfoam when considering your next boat/barge refurbishment project! 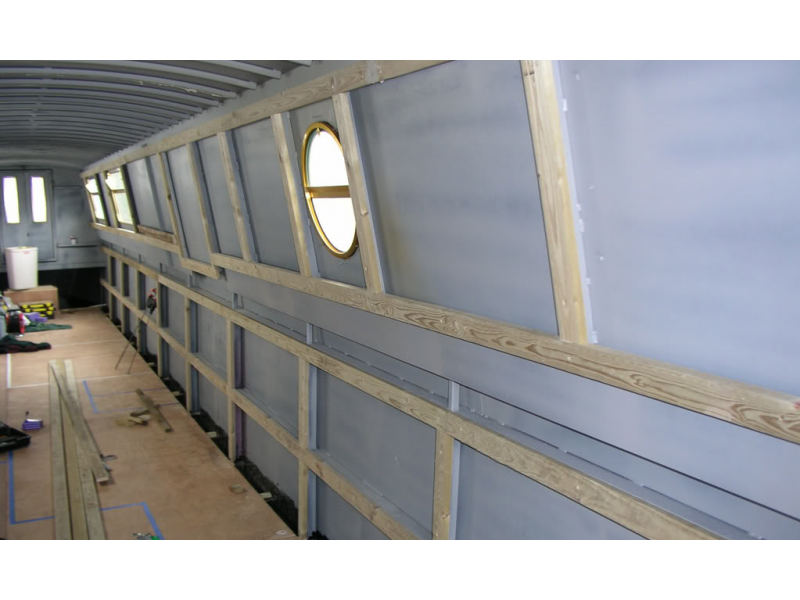 Our sprayfoam solution for boats greatly improves insulation U-Values (overall heat transfer coefficient) and insulation R-Values (thermal resistance), which does not degenerate as the years go by, reducing the need for replacing and paying for more insulation in the future, as well as preventing problems like internal moisture damage and rot. It is easy to apply even to the most difficult areas of any boat, areas such as crevices and small tricky areas that could not be insulated by other insulation products. This makes our Sprayfoam Insulation a very good, air-tight insulation seal. It is suitable for old and new boats that require a lifetime long term insulation solution and can be sprayed directly onto any surface. 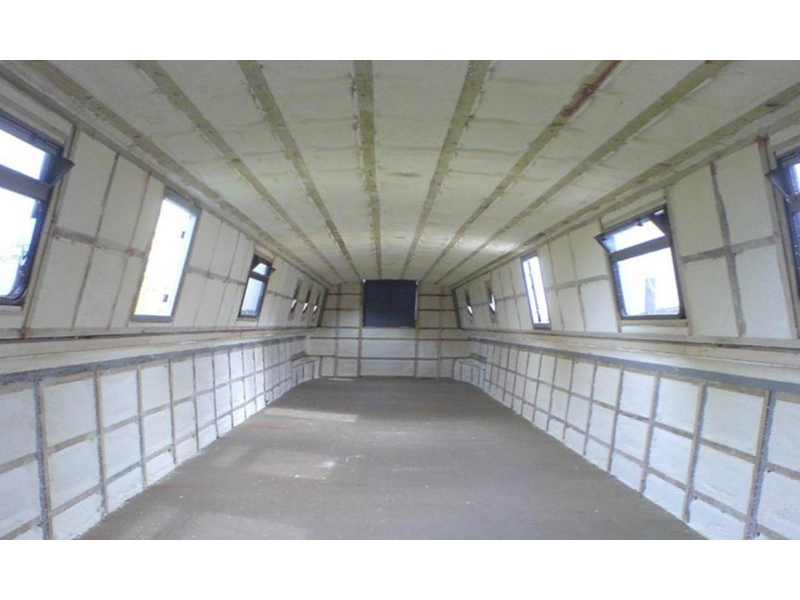 There are many direct benefits of boat insulation with our products, such as reducing the risk of internal dampness and condensation in any boat, big or small. Compare our sprayfoam insulation with any other traditional insulation solutions and you will quickly see that our sprayfoam insulation is the best possible method of insulation and will guarantee consistency, convenience, and satisfaction ahead of other sprayfoam options available on the market.